He's not happy about the disrespect of Men's Physique competitors. 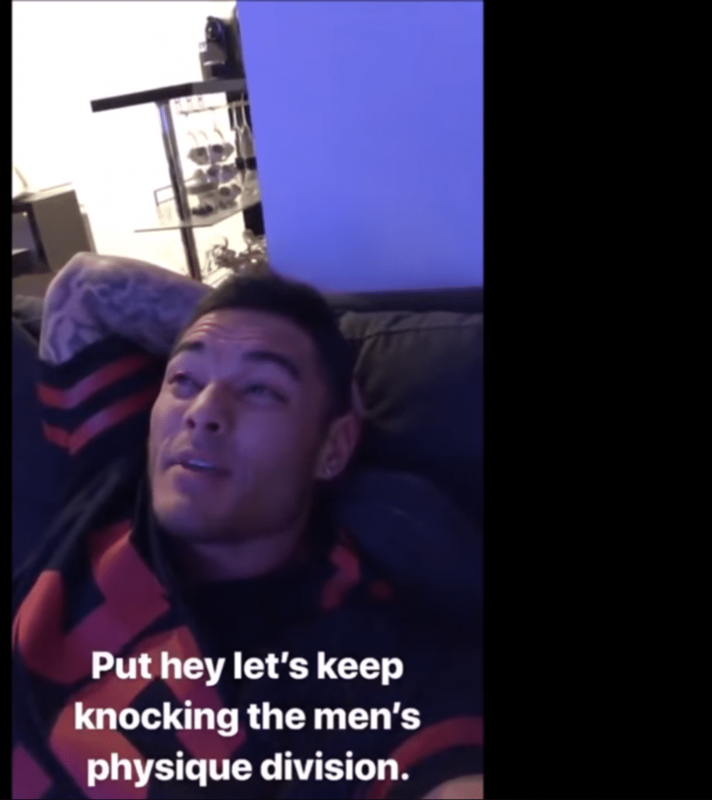 Jeremy Buendia is a very accomplished Men’s Physique competitor winning the title four times, but he explained how it’s still not enough to earn respect, and quite frankly, he’s tired of it. “It’s probably the reason why I don’t want to compete anymore, the lack of respect that our division gets after everything,” said Buendia. “You guys hate us for no f***in reason and you know what I’d be mad too because you know what the Physique guys are the ones getting the f***in checks nowadays. We’re the ones with the contract”. 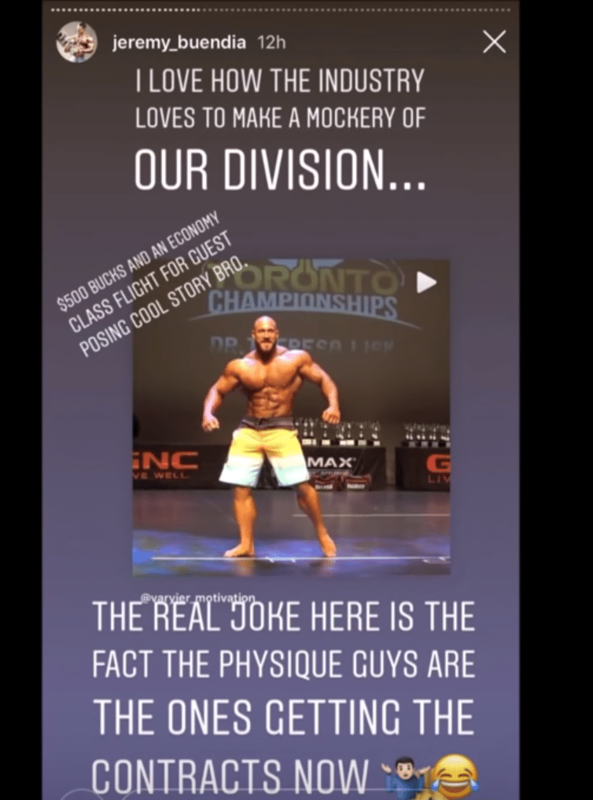 Now, Antoine Vaillant who competes in the Open class recently made a guest posing appearance wearing Men’s Physique posing trunks and Buendia believes it was a mockery of his division. But there’s no real evidence to prove this. However, Buendia had a point to make regarding the unfair treatment of his weight class. 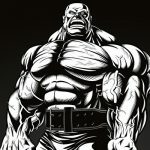 But regardless, Jeremy Buendia has earned his reputation as an amazing elite bodybuilder and weight class should have nothing to do with accomplishments! Bodybuilding is a tough sport and every division should be treated equally. He explained how he was scared leaving the Olympia in fear that everyone would forget about him but thanks to his fas he doesn’t have to rely on anyone as his following is stronger than ever.